The New Year has barely kicked off but Detroit mayoral candidates are wasting no time getting straight to the politicking. 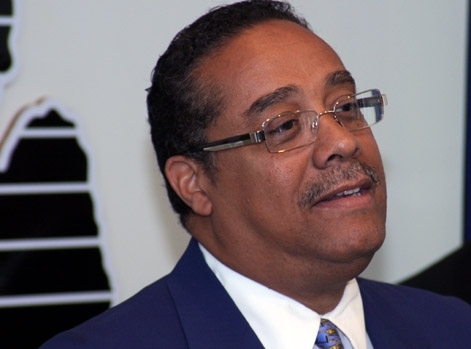 Wayne County Sherriff Benny Napoleon and former DMC CEO Mike Duggan, both gearing up for a 2013 run, traded barbs this week over a very trivial issue: whether the city’s affluent Palmer Woods neighborhood was really “Detroit”. What’s worse, political enthusiasts and social media armchair critics are eating it up. Long, rambling comment threads litter the web over whether Palmer Woods should be considered part of the Detroit experience. Really? Is this what the Detroit mayoral race is going to be reduced to? This whole brouhaha is a prime example of how reader-hungry media outlets paired with exposure-hungry candidates dance to create a puffy election season cocktail of absolutely no substance. Napoleon’s Palmer Woods comment blew up to the point where he felt the need to reiterate his comments on Facebook. That’s what Napoleon had been saying all along, but a juicy quote was out of context and ran with like a football down the field. It makes for good water-cooler talk but not much else. Still, the whole fluffy affair had to somehow be linked to race. After all, this is Detroit. Prevailing comments on social media threads have accused Napoleon of race baiting, claiming that his words about Palmer Woods and probable opponent Mike Duggan were somehow embedded in racial divisiveness. But these wed commentating people are obviously the ones with race on the mind. If anything, it’s a class issue that Napoleon raised. Palmer Woods houses upper-middle class people in a city that is mostly sub-poverty line broke. Palmer Woods is a diverse neighborhood, not a white enclave in a predominantly black city. So what’s the issue here? There really isn’t one; Except maybe a little media-candidate tailspin. At best, this is the stuff soap boxes are made of. Mayoral candidates Duggan and State Rep. Lisa Howze used this media-created spat as a campaign opportunity. They both immediately took to Facebook to declare the comically obvious: That the Palmer Woods Neighborhood is, in fact, part of Tha D.
Benny Napoleon unveils his campaign platform: “Hell no. Palmer Woods is not Detroit.” Mike Duggan’s campaign is made up of hundreds of volunteers who believe in his message of hope and unity. Now we know what this campaign will be like and what’s at stake for our community in 2013. Please don’t sit on the sidelines. This has been a fun conversation but let’s keep it moving. If this type of thing keeps up it’s gonna be a loong year. Detroit faces bigger problems than this sillyness.